The MOD has sought proposals from Indian companies for supply of 106 Pilatus PC-7 Mk-2 Basic Trainer Aircraft (BTA) under the category of Buy and Make (Indian) as stipulated at Para 4(c) of DPP-2013. Competing Indian vendors are expected to form a joint venture with OEM M/s Pilatus Aircraft Ltd, Switzerland, and supply an initial lot of aircraft with support equipment in flyaway condition under the Buy portion of the procurement, and the remaining aircraft and equipment through licensed production/indigenous manufacture in India under the 'Make' portion. The aircraft and associated equipment in this procurement are required to be supplied in the same configuration/specifications and scale as was contracted with M/s Pilatus Aircraft Ltd earlier. The IAF wants the supply of the 106 aircraft to start in 2015-16 and be completed by 2020-21. The IAF is already operating the PC-7 Mk-2 BTA for training its rookie and instructor pilots, having procured the aircraft from Pilatus under a contract for supply of 75 aircraft signed on May 24, 2012. The contract is expected to be fulfilled by mid-2015. The contract contains a TOT clause to enable a local company to maintain the platform throughout its service life of over 30 years. There is also an option to extend the scope of the contract within 3 years, which would be exercised for the additional procurement. 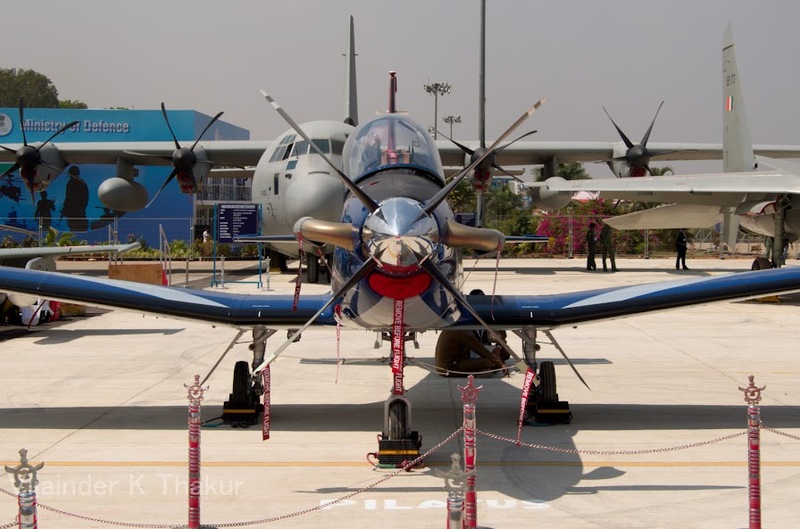 At the time of signing the initial contract, it was expected that the IAF's requirement for additional 106 BTAs would be met by HAL, which is in the process of developing the HTT-40 trainer as a PC-7 Mk-2 replacement. However, the IAF now believes that HAL will not be able to to develop the HTT-40 in time and has opted for additional PC-7 Mk-2s instead. The IAF's decision is also based on a desire to limit the types of aircraft in its inventory to ensure more efficient maintenance. In January 2014, it was reported that the IAF has sought MOD nod for producing the PC-7 Mk-2 BTA at 5 BRD in Sulur, near Nashik, having told the MOD that the service is facing a shortage of pilots due to by bottlenecks in training caused by limited availability of trainer aircraft. The IAF proposal is backed by Pilatus, which sent a team to Sulur to inspect the facilities available there. The cost of producing the aircraft at Sulur is assessed as being comparable with the price paid for the 75 aircraft purchased earlier. IAF is also citing the success of South African Air Force in producing Pilatus trainer in-house, while pointing out that the IAF's facility at Sulur is better than the one in South Africa. According to the IAF proposal, the first 10 of the 106 aircraft would be bought off the shelf, 28 in semi knocked down kits, and 68 in completely knocked down kits.